Current: The current runs strong in the inlet so make sure you hold onto your board or it will be out of your sight before you know it. Tide: The difference between high and low tide is quite substantial. 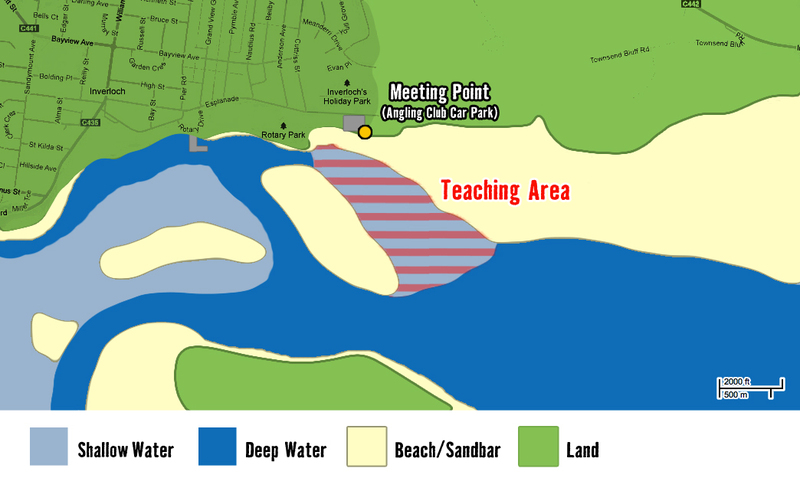 At low tide the sand bars are exposed which creates extremely favourable flat and shallow water conditions. At high tide the area is full of waist high water and deep cannels. Wind Directions: South West is the predominate wind direction and is the most preferable as the wind is clean from the ocean. East is also a good wind direction as the wind has time to settle coming down through the inlet. 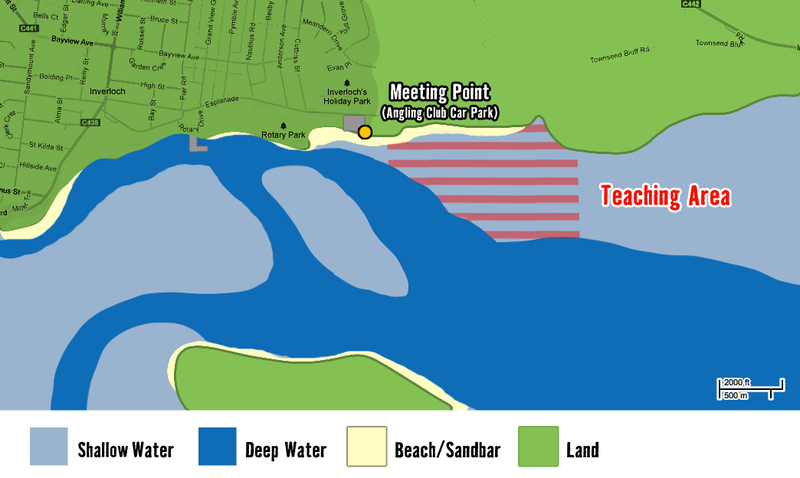 Launch and Landing Areas: The launching and landing area is large at low tide. At high tide space is VERY LIMITED and you need to ensure you only launch or land 30+ metres away from any beach or water users. DO NOT SELF LAUNCH OR LAND where there are other people, obstructions, or hazards.